Now available for your iPad and iPhone. On November 12 at 6:30 p.m. I will be reading from Bend Me, Shape Me at the Princeton Public library, 698 E Peru St, Princeton IL 61356. I will also talk a bit about how setting influences crime fiction and answer any questions you might have. Afterward, there will be an opportunity to buy books and have them signed. I hope you will join me. I look forward to seeing everyone. If you are interested in the reading i did last year from Painted Black, the whole event was recorded and is available on my Painted Black website. 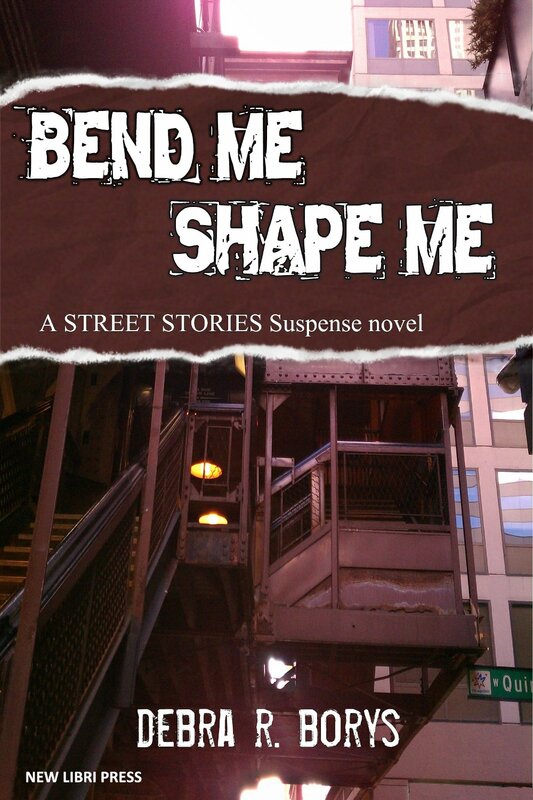 After some very thoughtful reviewers commented that the cover of Bend Me, Shape Me didn’t do justice to the book and might keep people from taking a closer look, my publisher agreed to a small reworking so the title stands out more. The image now seen on the e-book is a vast improvement, I think, and should be available on the paperback version soon. In this age of rampant electronic publishing and e-readers, it probably shouldn’t matter if your book ever sees actual “print.” But for old fashioned writers like me, there is nothing as validating as holding that processed tree pulp in your hot little hands. I will have the thrill of doing that soon, because a carton of trade paperbacks is on its way to my front door now. If you also enjoy reading a book you don’t have to turn on first, I hope you will order your copy from your local book store or at least go to Amazon.com or BarnesandNoble.com to get this second novel in the Street Stories suspense series. Keep your eye on this blog for upcoming news about book signings and author events because I’ve got a couple in the works I hope to announce soon. Meet Snow Ramirez. She’s convinced psychiatrist Mordechai Levinson is responsible for one kid’s suicide, and may be targeting her brother Alley as his next victim.